IKOs Dynasty premium laminated architectural shingles offer protection from inclement weather and peace-of-mind. PLUS they look fantastic, boost curb appeal and can potentially increase the resale value of your property. Deep shadow bands add contrast and dimensional profile to give your roof a stunning, impressive appearance and roofline. Dynasty shingles with ArmourZone are manufactured in IKOs special Advantage size. Bigger than most competitors comparable product, they offer greater exposure to give you a dramatic-looking roof that really stands out from the ordinary. Choose from 7 fresh, bold color blends. IKOs Color Blend Technology offers the perfect match for your homes architecture and your personal sense of style from rustic to urban, traditional to modern. 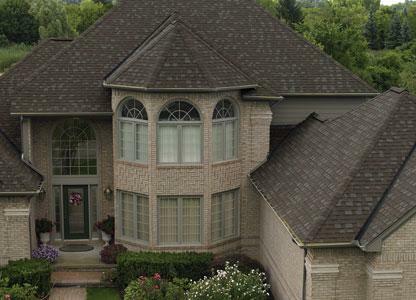 Coordinated hip and ridge cap shingles are the ultimate accessory to create a spectacular new roofscape for your home.